Medium temperatures of -60 °C don’t even make the designers of electrical thermometers shrug their shoulders – but when one speaks of ambient temperatures of -60 °C, then one often hears a sharp intake of (cold) breath. It quickly becomes clear that one cannot readily use standard instruments here. Global warming on the one hand, requests for equipment for use at very low ambient temperatures on the other – they don’t really fit together. Nevertheless that’s the reality. Until recently, -40 °C was used as the lowest test temperature (ambient temperature), today this temperature is moving more and more towards -60 °C. 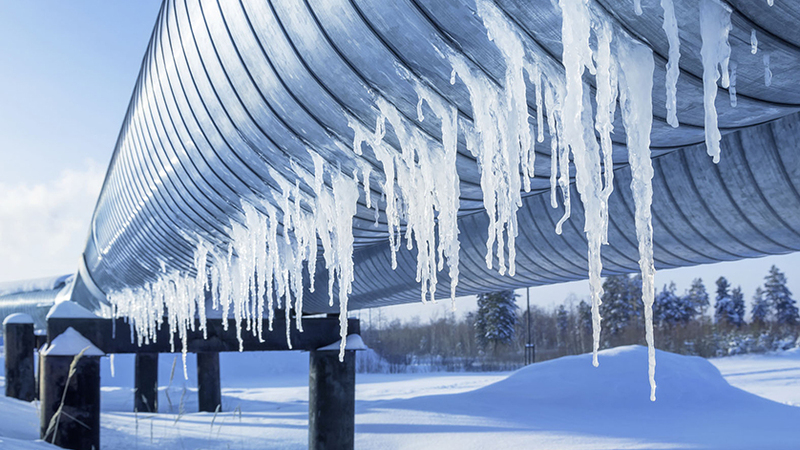 One of the reasons for the growing demand for instrumentation for use at such uncomfortably low ambient temperatures is man’s push into colder regions in search of oil, gas and other minerals. But it is not only metrological and geographical causes that lead to these extended requirements. Applications in the field of liquid gases also require the use of suitable electrical thermometers. Standard resistance thermometers are not suitable for these low ambient temperatures. The development of special low-temperature resistant thermometers which also withstand icy ambient temperatures of -60 °C is the logical consequence. Special versions – even when you can hardly distinguish them visibly from standard instruments – place high demands on the design, construction and materials used. 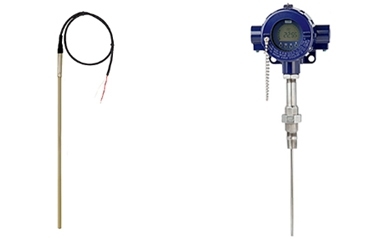 In order to achieve optimum operational reliability, the components of these special thermometers are made exclusively from materials suited to low temperatures. The demands on the components and the complete instruments are high. The impact resistance must, for example, be tested at the weakest points of the outside of the test item. These tests must be carried out on mounted thermometers which are ready for service. One of the main reasons for the need for such elaborate investigations and their documentation is the behaviour of plastics at low temperatures. Here, the increasing embrittlement at decreasing temperatures indicates the limits of the usability of these materials (e.g. in cable glands and their seals). But it is not only seals, but also sealing compounds, adhesives, painted surfaces and (often overlooked) the sheaths on connection cables inside cases, that must meet the demands defined by the test temperatures. Cables are preferably stationary in these ambient temperatures, i.e. installed fixedly. This prevents micro-cracks and thus possible ingress of moisture. Electronic components such as displays and transmitters have already been developed for applications in extreme ambient conditions. Here, retroactive matching to low temperatures is often no longer possible. In order to ensure process safety at the low temperatures mentioned, the test temperatures are subjected to a safety factor. 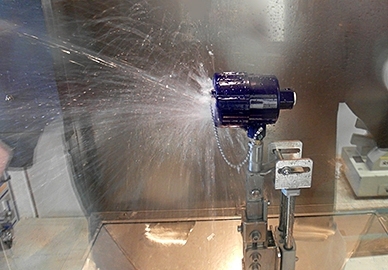 Instruments with explosion protection are tested at a test temperature of -70 °C. Ambient temperatures which are not problematic for stainless steel can lead to problems with aluminium alloys. Therefore, the metallic components of the thermometers are also tested for impact resistance at -70 °C. Both the individual critical components and also the finished products thus undergo a wide number of specific tests before the thermometers are sent to the customer after they have been approved. Information on our temperature measuring instruments, such as resistance thermometers and thermocouples, can be found on the WIKA website.